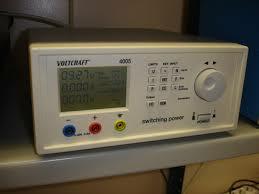 Our clients can avail from us quality Switch Mode Power Supply that are sourced from authentic vendors. This power supply is primarily used in many industrial applications. Our assortment of SPMS is supplied with encapsulated screw terminals and thus, offer optimum performance during usage. Designed using stainless steel, the SMPS are compact and comply with EN55022-B standards. Easy to install, this open frame, euro modular instrument provides maximum protection against over voltage and short circuit.